As well as a Rotarian (past President, Secretary, publicity officer et al and PHF) the following were noted in giving the award. 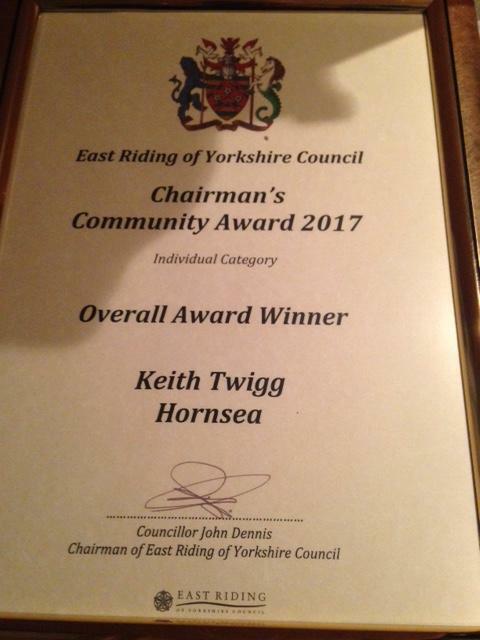 Since moving to Hornsea 13 years ago Keith has become a valuable member of the community and is involved in a number of projects on a voluntary basis. Remembrance Day Poppy sales: In the 100 square miles around Hornsea, as a direct result the money raised has quadrupled. Keith is Chairman of Marie Curie Support Group and so far £100,000 has been raised with the money being spent on Marie Curie nursing care in the Hornsea area. Part of the management of Hornsea Food Bank, every week Keith hands out food to those who need it. He gathers food donations from collection points and encourages others to stand with him in supermarket foyers for special collection events. Organises the marshalling for the Rotary Hornsea 1/3 Marathon National Championships, which is now celebrating its 10th year, and also the Remembrance Day Parade. 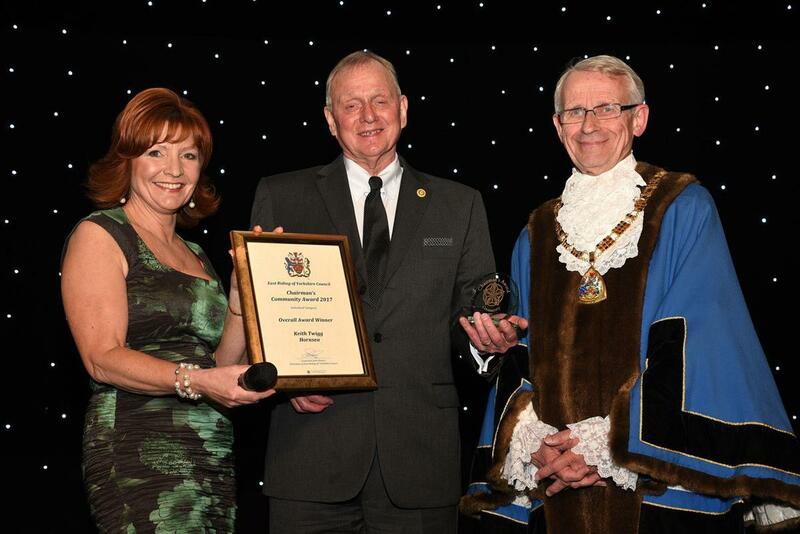 Keith said: "I'm amazed to win this award and also humbled given the work the other two people who were nominated in this category have done. "There's something about Hornsea that just gets you and after years of doing nothing I just felt I wanted to give something back. "I don't do this for any kudos and I certainly didn't expect any reward or recognition for it but I am proud to have been named the winner of this category."